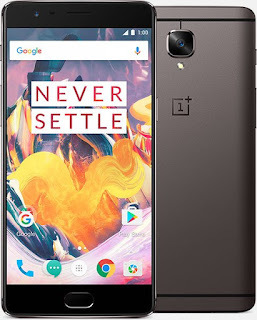 OnePlus 3T feature a 5.5-inch (1920×1080 pixels) Full HD Optic AMOLED display with 2.5D curved Corning Gorilla Glass 4 protection powered by a 2.35GHz Snapdragon 821 SoC with 6GB RAM and 64GB/128GB internal storage. On camera it has a 16-megapixel rear camera with LED flash Sony IMX298 Sensor and 16 MP front-facing camera Samsung 3P8SP Sensor .Dual SIM device runs on Android Marshmallow with Oxygen OS . OnePlus 3T is packed by a 3400mAh Battery. OnePlus 3T comes in Gunmetal and Soft Gold color It starts at US$ 439 (Rs. 29782) / EUR 439 / GBP 399 for the 64GB version and the 128GB version is priced at US$ $479 (Rs. 32485 approx.). 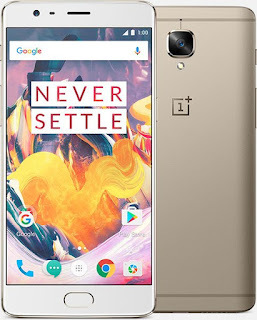 It will be available through OnePlus.net starting on November 22 in the US and starting from November 28th in Europe.